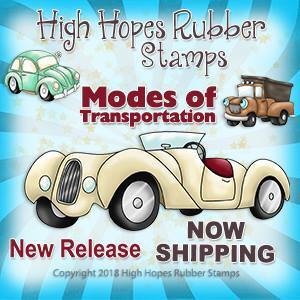 Today is a big day for High Hopes rubber stamps as the newest images are released and all of the new images feature "Modes Of Transportation". 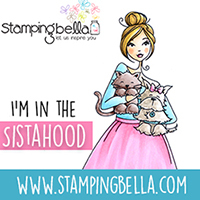 All of the design team divas are showing off their wonderful projects featuring the new images at either the One Crazy Stamper blog, or the High Hopes Stamps blog, so be sure to visit each blog to see the wonderful new images! Today I am featuring "Wrangler" (TT154) and the sentiment stamp "Life Happens" (GG038). 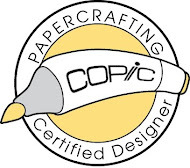 The image was stamped on to Copic Xpress It cardstock with Memento Tuxedo Black ink and then colored with Copics. The road die is from My Favorite Things as is the cloud stencil. The sentiment was stamped with Versafine Onyx Black ink. Love the scene you created and your clouds are amazing! Gorgeous colouring as always! Such a fun card - love it! How sweet is this card and love the scene you created! !